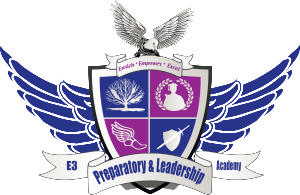 Welcome to E3 Preparatory and Leadership Academy – a premier Non-Profit Life Skills enrichment program charged with transforming the lives of America’s youth. We are delighted you are here to learn more about our vision and the exceptional educational program offered at E3 Preparatory and Leadership Academy. Our priority is to provide a platform for our students to soar like an eagle. We have a mandate to ensure the students we serve are prepared to succeed academically, socially, emotionally, personally, and professionally. We understand that it is not enough to teach them, but to encourage, equip, and empower our students to compete in an ever-changing world. We are committed to teaching the “whole child” and not simply the brain. E3 Eagles are future thought leaders, innovators, investors, stock brokers, philanthropists, entrepreneurs, physicians, educators, artists, politicians, corporate executives, scientists, surgeons, and more. We are absolutely ecstatic about the future of our students. Our students carry with them our enthusiasm for their future and a spirit of excellence wherever they go complete with an understanding they represent not only themselves, but also E3 Preparatory and Leadership Academy. We encourage you to discover more about E3 and welcome an opportunity to share our vision of an exceptional educational environment with you. Sharalyn is an Executive and Personal Development Coach, a Management, Leadership, and Organizational Development Consultant, and a Training and Development Expert. She is a maven at creating optimal growth solutions – transforming measurable goals into reality. For sixteen years, Sharalyn has successfully designed and developed strategic business solutions and action plans resulting in the increase of profitability and sustainability. Sharalyn is regarded as a “Life Design Architect” and is gifted in creating viable businesses from what appears to be a simple idea. 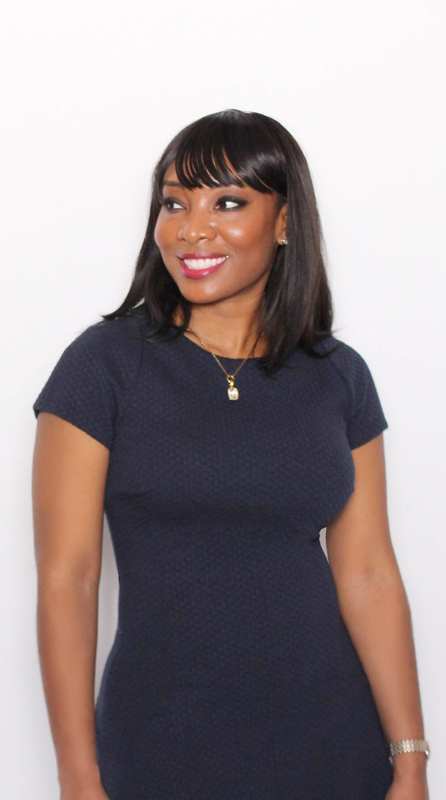 She is the principal of Push Partner – a boutique Life Design Architectural firm created to push you to success, position you to be successful, and pull for you, while you make it happen. Like an architect, Sharalyn connects your ideas with the tools, resources, and plans needed for execution and designs a “success strategy”. Sharalyn has a special talent of building relationships and connecting with others – igniting the fire that burns within. Those relationships allow Sharalyn to tap into her “SuperPower”, which is discovering your unique talents, gifts, strengths, dreams, and passions. This insight allows Sharalyn to partner with you to create your vision of success, whether it is personal or professional. Sharalyn’s speeches, presentations, and workshops have been widely received and have garnered positive feedback. A natural storyteller, Sharalyn is able to create a “Mind Movie” for the listener, bringing stories to life and leaving listeners sitting on the edge of their seats. The use of analogies, humor, and personal revelation captivates audience members. Sharalyn’s style has been described as thought-provoking, refreshing, dynamic, energizing, intriguing, and engaging. Sharalyn has a heart for education, children, families, and community engagement. Sharalyn volunteers her time with a number of community organizations and is deeply concerned about the future of the next generation. She is the visionary behind E3 Preparatory and Leadership Academy, which has shifted her philanthropic efforts to a new level. Throughout her life, Sharalyn has demonstrated a caliber of wisdom and leadership well beyond her years. Recognized as a woman of character, she is a builder, creator, connector, catalyst, maximizer, mentor, teacher, humanitarian, philanthropist, entrepreneur, community volunteer, daughter, sister, and friend. SharaIyn is a true visionary and catalyst for growth and change. Sharalyn earned a Bachelor of Arts degree in Criminology from University of Memphis, a Master of Education in Curriculum and Instruction, a Master of Education in Administration and Supervision, and an Education Specialist degree in Leadership from Freed-Hardeman University. She also holds the following certifications: Development Dimensions International (DDI) in Leadership Development and Talent Management, Certified Practitioner in Learning and Performance (CPLP) Senior Professional in Human Resource (SPHR), and Society for Human Resource Management Senior Certified Practitioner (SHRM – SCP). Passionate about adding value, Sharalyn cites that her most joyous accomplishment to date has been adhering to the mandate to inspire, motivate, empower, and compel others to move forward and achieve their desired goals and reach their highest potential.